Experiment with Styles that speak Comfort and Elegance! 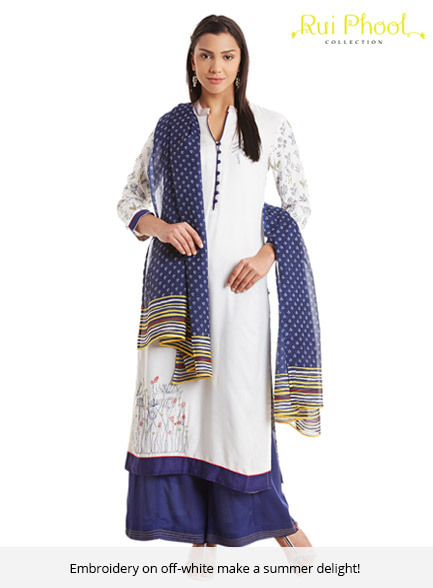 This beautiful straight fit kurta from the collection of “Rui Phool” brings the elegance every woman would love to have! Rui Phool collection is known for drawing inspiration from the cotton flower and depicting them through hand sketched images. 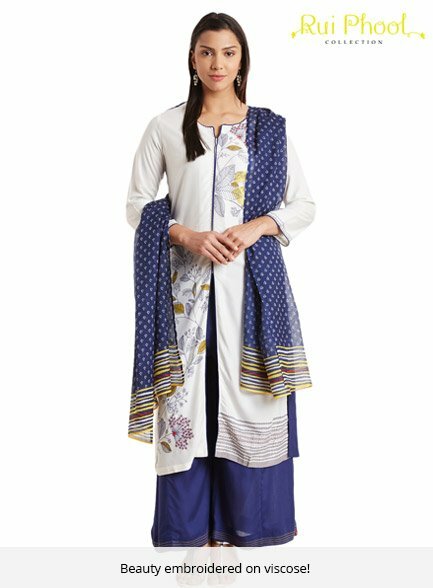 Colour your summer wardrobe bright and beautiful by combining this lovely viscose kurta with blue palazzos and printed dupatta to pull off a unique look for casual wear as well as occasions.